Re-stock: May 3rd. IDE controller for Amiga 2000. It supports until 4 IDE devices and includes a Compact Flash socket on board for CF cards. The board includes a connector for the IDE activity LED. 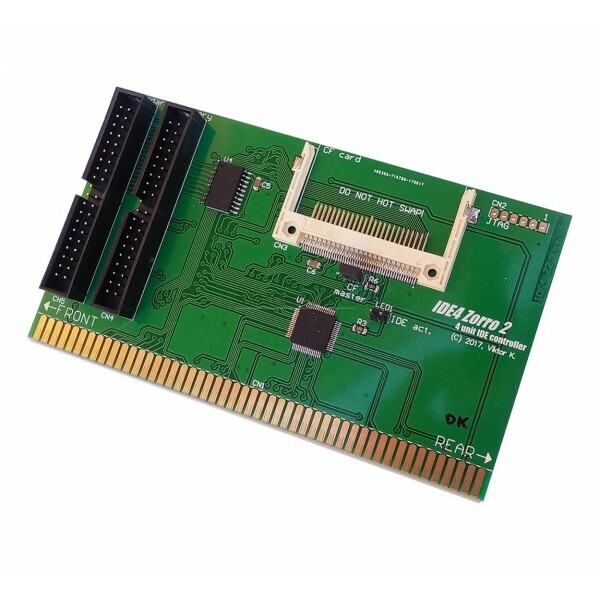 IDE4 Z2 - A 4 unit IDE controller for Amiga 2000. IDE4 Z2 is a Gayle compatible 4 unit IDE controller, designed for Amiga 2000. It supports 4 IDE devices on two ports (primary and secondary). Without any additional driver the primary port is active. Kickstart 2.05+ is required with scsi.device. IDEfix driver (not included) is required to enable the second port or to use a CD / DVD device (as the default scsi.device in ROM doesn't support it). CF master / slave mode is selectable via a jumper. 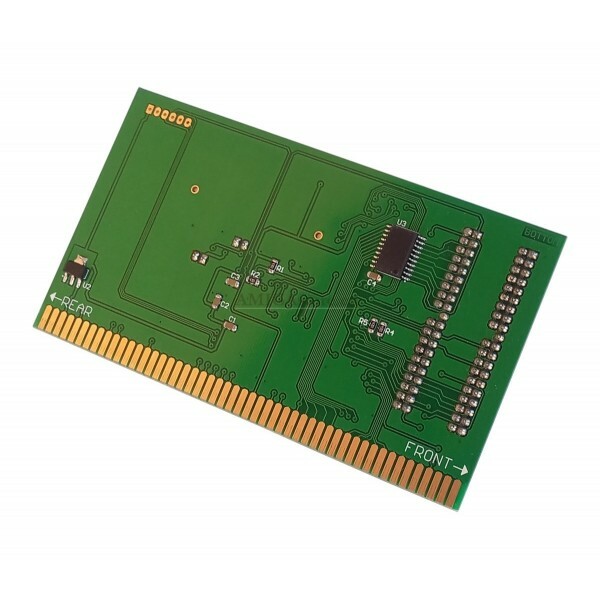 Connector for IDE activity LED is also available. The controller is RDB compatible: HDToolBox and HDInstTools can be used for disk partitioning.With the IDE4 Z2 controller you can now take advantage of the latest low-cost, high-capacity SATA/ATA/EIDE devices like hard drives, Solid State drives (SSD), Compact Flash cards, DVD drives, CD-RW drives, CD-ROM drives, ZIP drives, LS-120 drives, etc. This product is covered by 2-year manufacturer warranty.